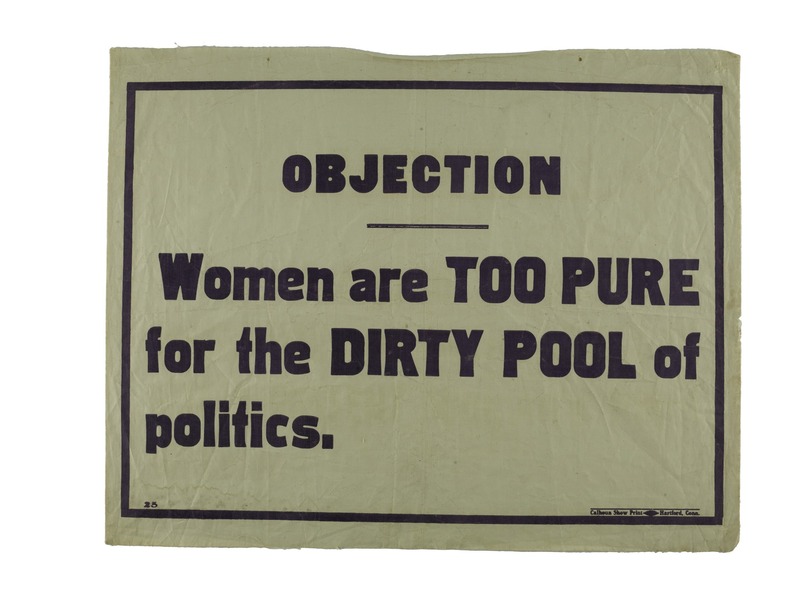 Three generations of women fought to overcome objections and convince the male voters who would decide the issue that women had the right to vote. 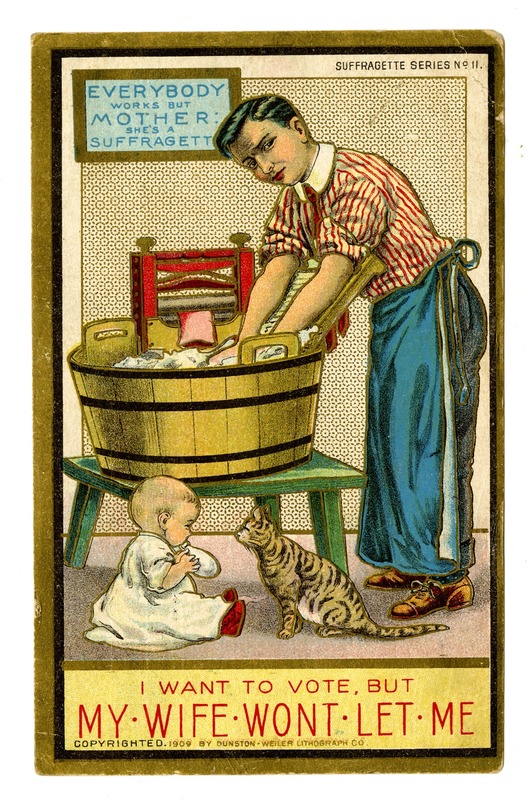 Opponents claimed that woman suffrage would lead to neglected children, masculine women, confused gender roles, and prohibition. 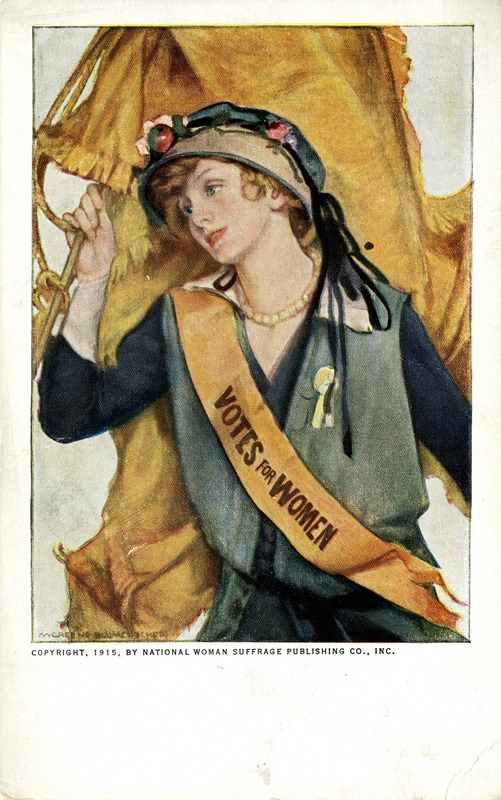 Suffragists and supporters countered with images of strong but feminine voters with years of experience and contributions as mothers, homemakers, breadwinners, and community activists. 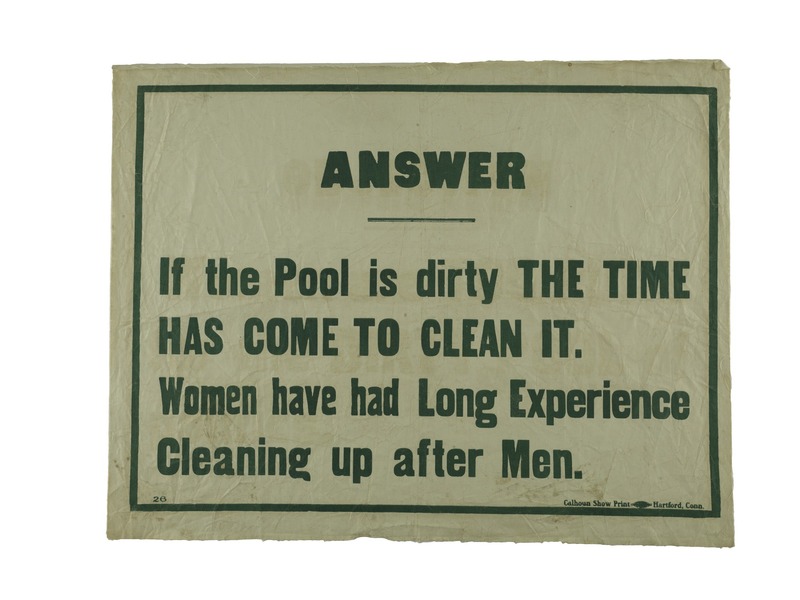 In the early 1800s women were culturally and legally subordinated to men. 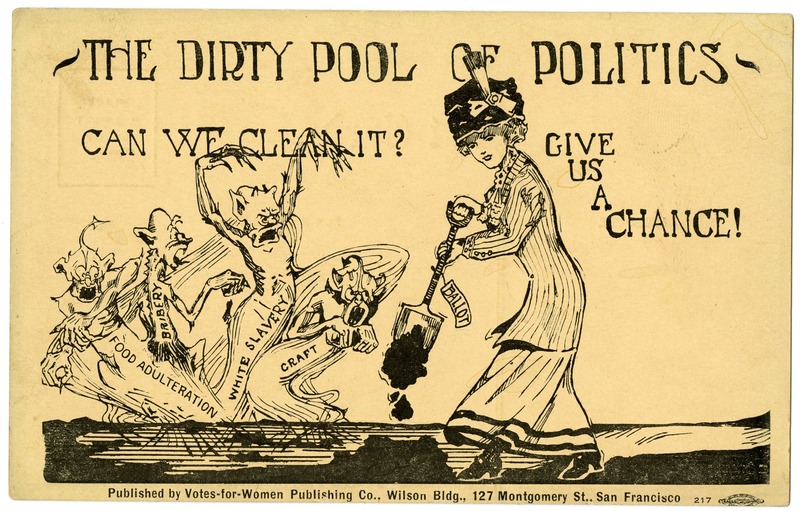 While more men were gaining the right to vote, women were still barred from the ballot box. In 1848 a group led by Elizabeth Cady Stanton called a convention on women’s rights. On this table they drafted a Declaration of Sentiments. Based on the Declaration of Independence, it demanded reforms to women’s legal status. The most daring was the right to vote. 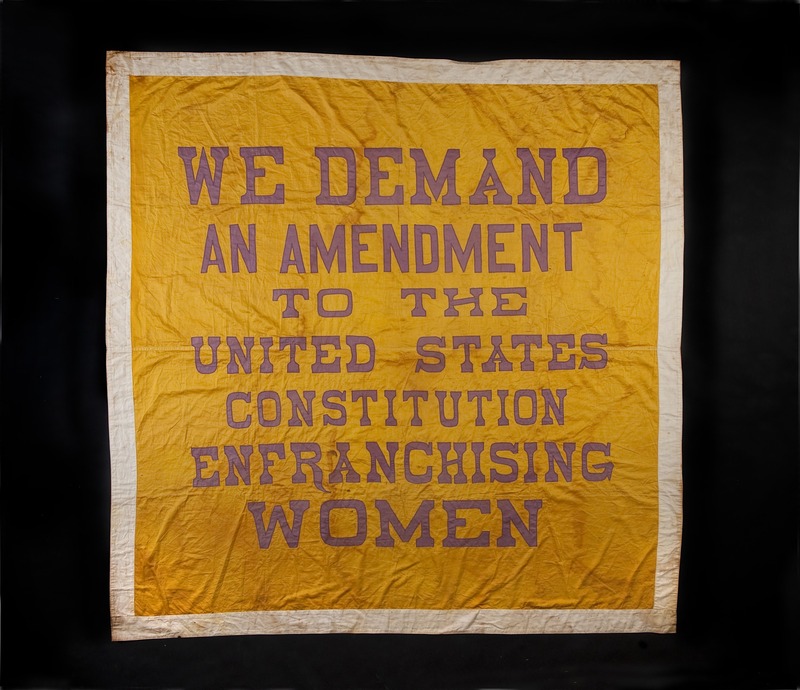 It took decades of fighting for rights to their children, property, money, education, and employment and successfully leading national reform movements before they convinced a majority of American men that women also had a right to the ballot. 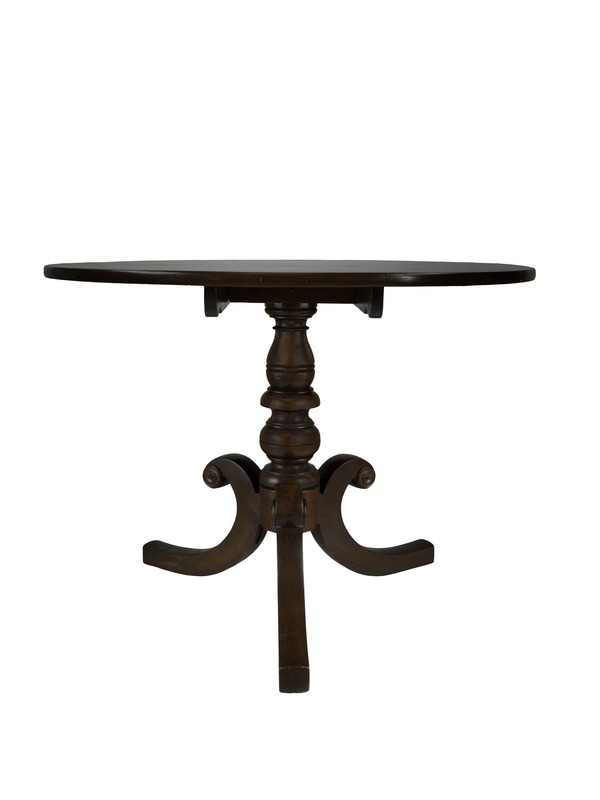 The table on which Elizabeth Cady Stanton drafted the Declaration of Sentiments became an icon for woman suffragists and was displayed at national meetings. 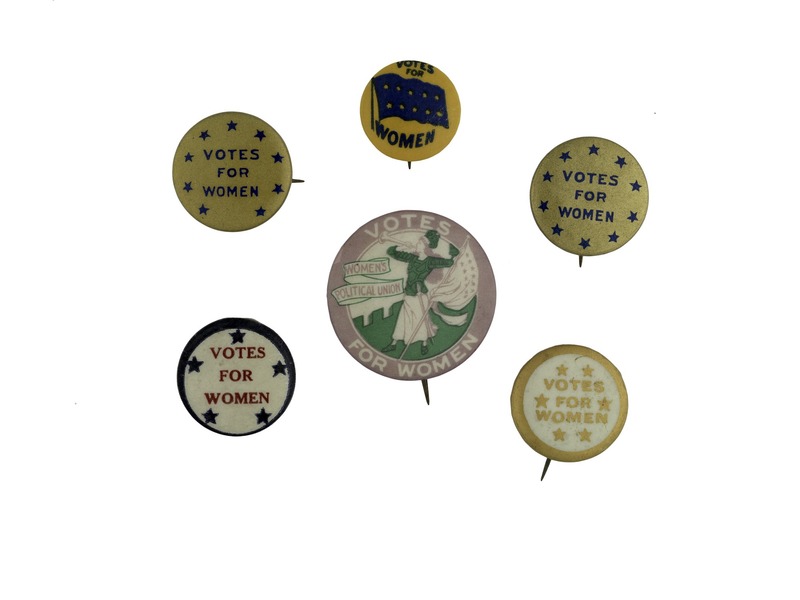 In 1919, as state legislatures voted on the ratification of the Nineteenth Amendment, leaders of the National American Woman Suffrage Association brought the table to the Smithsonian Institution to claim their place in the official history of the nation. The table has become a three-dimensional evocation of the struggle, achievement, and pride of the early woman’s movement and ranks as one of the treasures of the Smithsonian. Tradition says that early suffragists used this delivery wagon at speaking engagements and to distribute the suffrage magazine Woman's Journal. 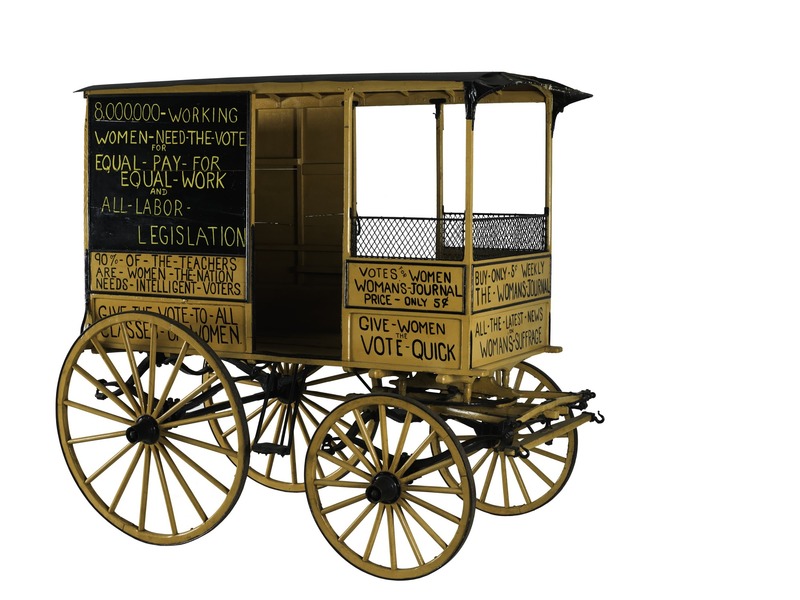 Later suffragists painted the wagon with slogans and continued to use it for rallies and publicity, as well as magazine sales. 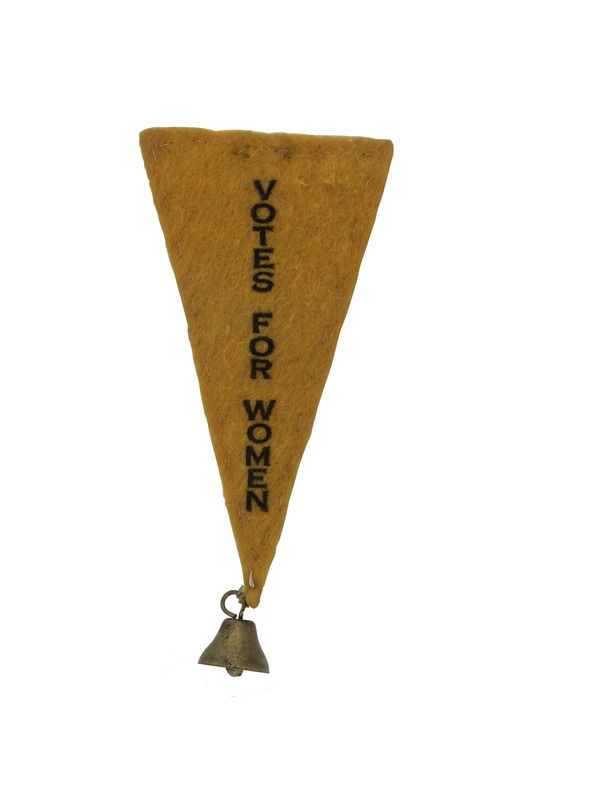 Lapel pennant, "Votes For Women"
Banners proclaiming the “Great Demand” for woman suffrage were used in demonstrations and rallies from 1913 until the passage of the Nineteenth Amendment in 1920. 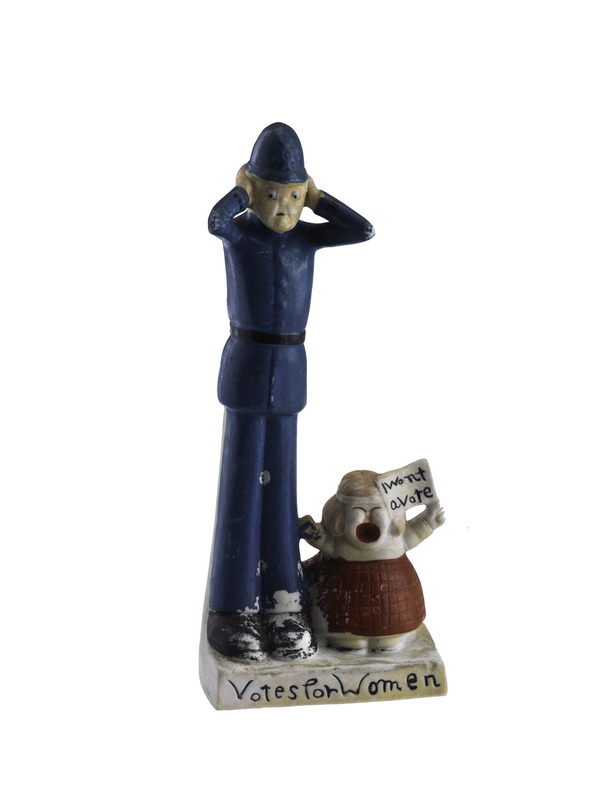 Marie Gilmer Louthan carried this one in suffrage parades. 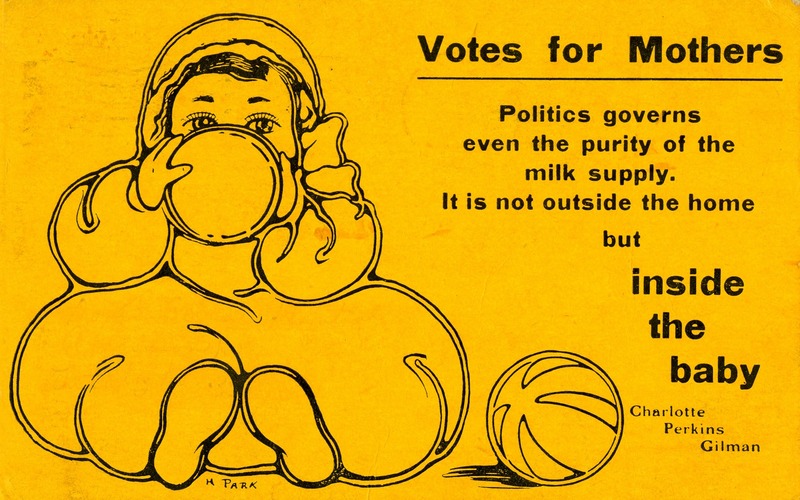 Suffragists often used humor to point out the absurdity of some of the common objections to women voting. 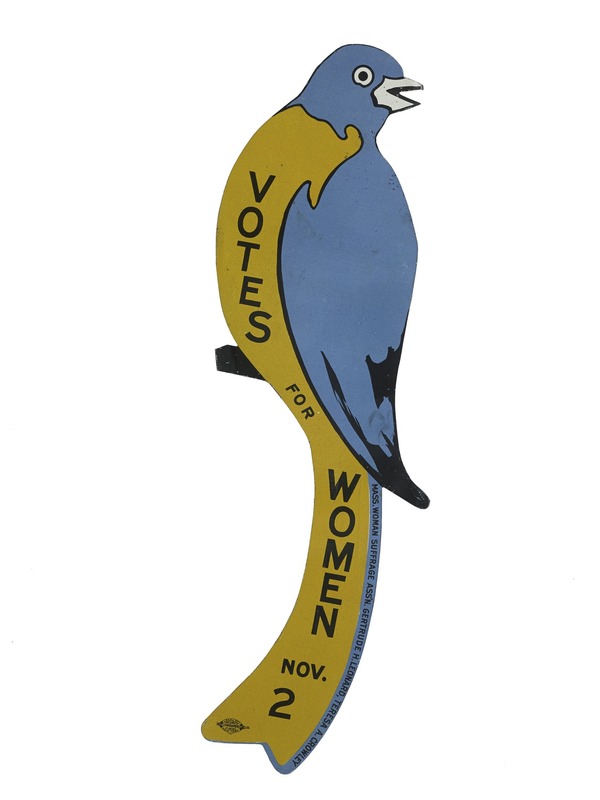 Members of the National American Woman Suffrage Association organized statewide “Votes for Women” campaigns. 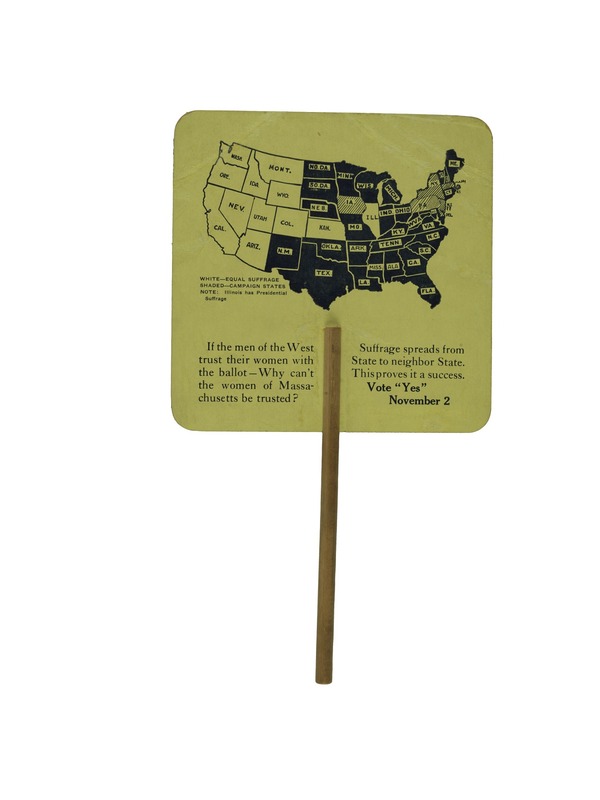 They used buttons, signs, and gimmicks like the ring parade spinner to promote their cause and tracked their progress with maps and stars representing their victories. 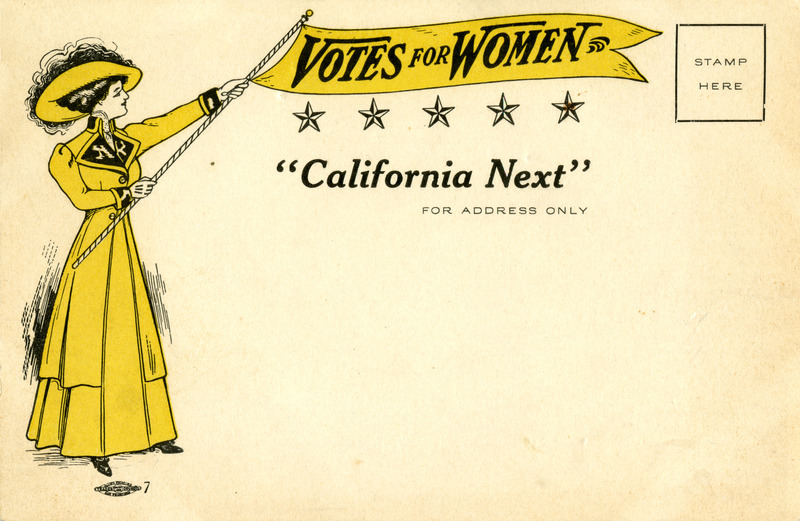 The western states were the first to accept women as voters. 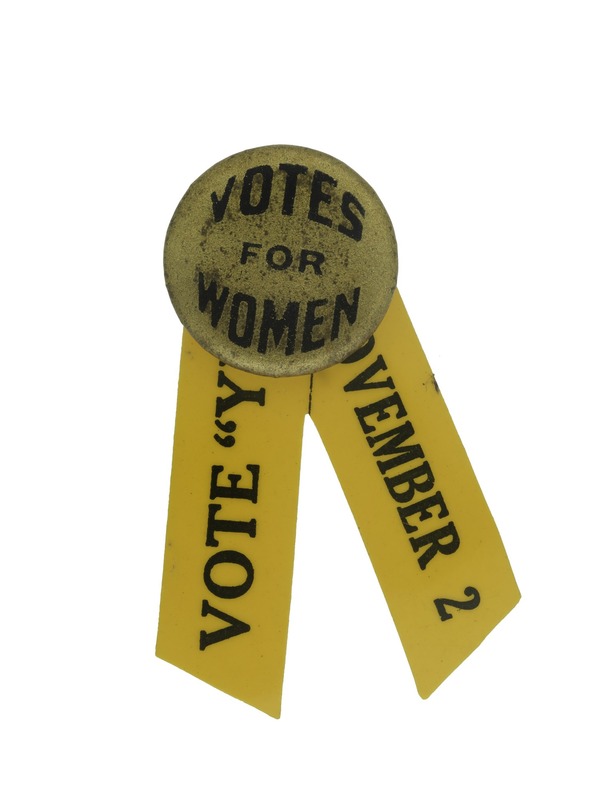 To pressure President Woodrow Wilson to support a constitutional amendment giving women the vote, suffragists from the National Woman’s Party became the first people to picket the White House. When they began in the winter of 1917, the public tolerated, even admired, the pickets for their dignity and tenacity. When America entered World War I, the picketing seemed unpatriotic and embarrassing to the government. 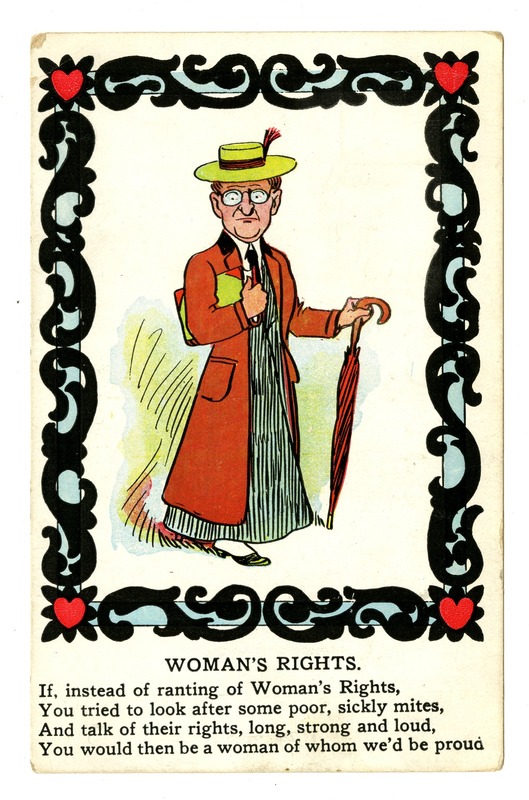 The suffragists were arrested and jailed for obstructing traffic. Reports of abuse and force-feeding and the courage of the imprisoned women generated public sympathy and the pickets were released. 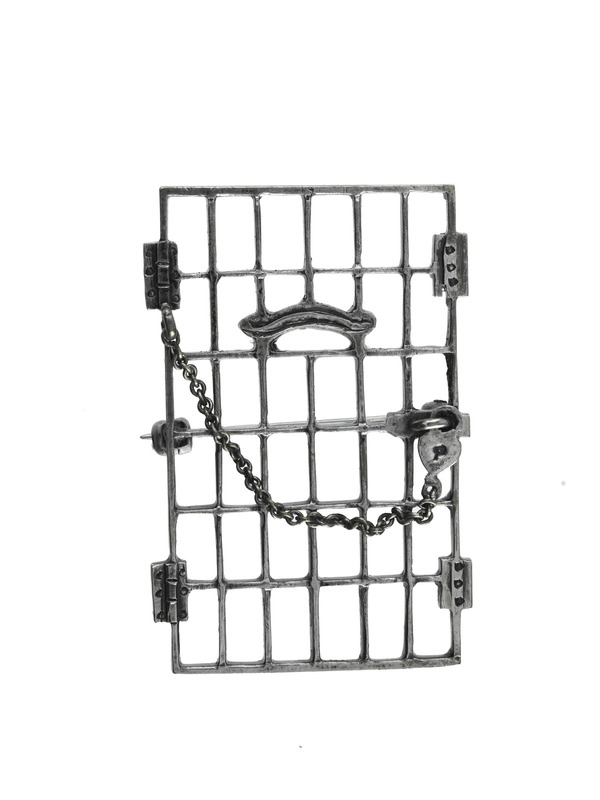 The freed prisoners were honored with silver pins in the shape of prison doors. 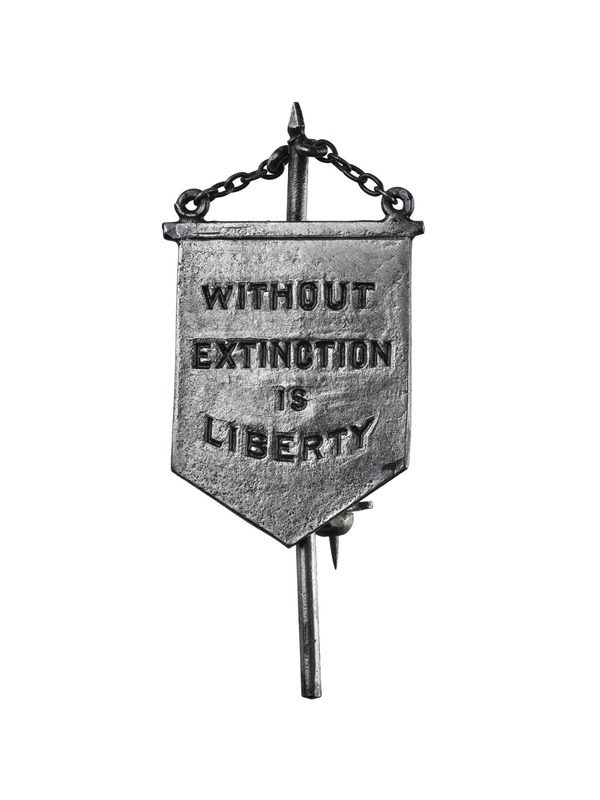 All of the pickets received silver banner brooches.